Successful Florida real estate investors understand the importance of having professional property management in Clearwater, FL to minimize their stress, increase their revenue, and free up their time for more important pursuits (such as growing their real estate portfolio). As a real estate investor and property manager in Clearwater, FL, Jeff has a keen understanding of the importance of maximizing your market rent while minimizing vacancy rates and expenses on your real estate investment portfolio. We offer a full spectrum of leasing and property management in Cleaarwater and throughout Pinellas County. From advertising rental property listings in Tampa, St Pete, Clearwater, showing your vacant Clearwater rental property to prospective tenants, to background screenings and credit checks, to move in/out inspections, rent collections, and tenant maintenance requests, we leverage technology to keep your costs low, and your Clearwater rentals running smoothly. Contact Jeff for more info about leasing and property management in Clearwater, Florida and throughout Pinellas County. What Clearwater property management services do you offer to your clients? Pretty much everything from repairs and rehab, to advertising/showing, to rent collections and accounting. How many Clearwater rental properties do you manage? How do you determine market rent on properties you manage in Clearwater? In a nutshell, by looking at comps. We review the MLS to determine market rent rates for a particular area, and also compare rents to our own portfolio of properties in the area. Are you currently an active real estate investor in your market? Under what conditions can I cancel my Clearwater property management agreement? You can cancel at anytime, with reasonable notice. What are the property management fees and/or pricing options when the property is being rented? In a nutshell, we charge half of one month’s rent to place a tenant in a vacant unit, and 8% of rent collected for ongoing property management services. We are happy to provide a full property management rate sheet and additional information upon request. Are there property management fees when my Clearwater rental property is vacant? For the most part, our fees are based on rent collections, so if there is no rent, there are no fees. What miscellaneous fees could I be charged for property management in Clearwater? You still pay for maintenance and repairs, obviously, and there are some one-time charges for some items (the most common being $45 for lease preparation). Do I have to sell my property with you if I want to list it? Do you offer direct deposit or rental income for your owners? About 90% of our tenants pay their rent online through out property management software. We also offer a retail payment option that allows tenants to pay cash at several different retailers (such as CVS and 7-11), as well a mailbox and 24-hour drop box at our office. Do you conduct property inspections? And, if you do, what charge is associated with them? At a minimum, we conduct a move-in inspection, and a move-out inspection. There is no charge for these – it’s part of the leasing process. In the vast majority of cases, we are inside the property often enough for routine maintenance that scheduled inspections are not necessary. To some degree, yes. We do not charge a new tenant placement fee if the previous tenant was placed by us and didn’t work out. (This is part of our property management agreement, and we’re happy to provide you a copy upon request). What steps do you take to market vacant Clearwater rental properties? We handle and cleaning and maintenance needs, take photographs/video, conduct a market rent analysis, and market the property via our property management software, which propagates to our rental listings page, as well as Zillow, Trulia, Apartments.com, and other sites. How long are your Clearwater rental properties typically vacant? While there are certainly outliers in both directions, the average is about 2 weeks. 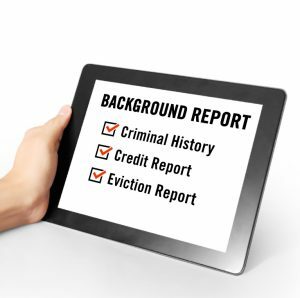 What are your income and screening requirements for rental applicants? Our tenant screening requirements are published here. Do you mark-up maintenance and repairs on our rental property? We do not mark up routine maintenance and repairs. For more complex renovations and turnovers, we would typically prepare an estimate in advance that includes and overhead and profit. Contact Jeff today for more info about leasing and property management in Clearwater, Florida and throughout Pinellas County!